In Acts 16, Paul met one of his many friends in the ministry, Lydia. Through out Paul’s ministry he led many people to Christ who then were an influence in bringing the rest of their family to Christ as well. Lydia is one such character. 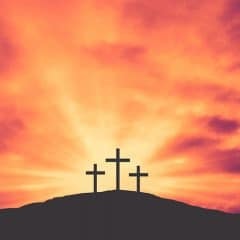 This Paul Taught Lydia About Jesus Story Illustration will help kids remember this event and understand that all of us, even children, can tell people about Jesus. 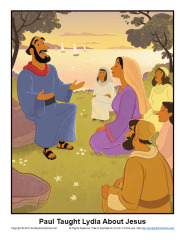 This story illustration can be used in a Sunday School, classroom or homeschool setting.